We’ve reviewed multiple A3 colour laser multifunction printers on this blog in the past. 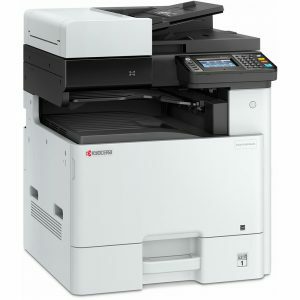 Of those, though, two stood out the most – the Kyocera ECOSYS FS-C8525MFP and the Oki MC873dn. The Kyocera ECOSYS M8130cidn is at least a match for both those devices. In many areas, it exceeds their capabilities. In fact, it can be said to be one of the better business-class A3 colour laser multifunction printers in the market. 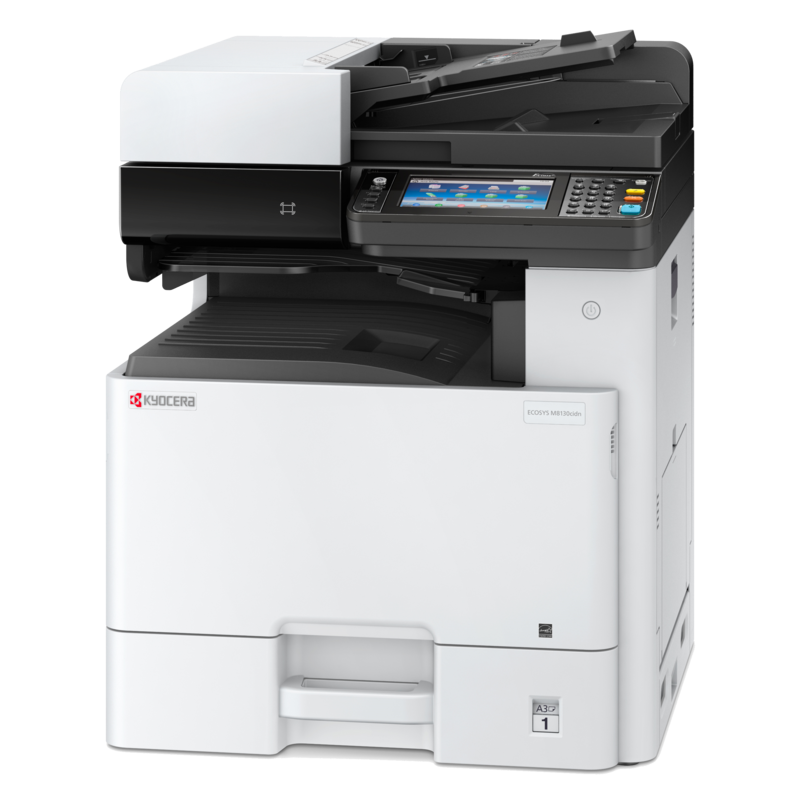 A lot of that is because of the flexibility and versatility the Kyocera ECOSYS M8130cidn provides. Its adaptability isn’t just a result of its design or its scalability but also because it is a part of Kyocera’s Smart HyPAS series. HyPAS stands for Hybrid Platform for Advanced Solutions. It opens up access to unique apps and software suites that Small to Medium Enterprises (SMEs) with fast-growth can leverage for better productivity and cost efficiency. SMEs desire scalability most often in paper capacity. They want the option to increase their volume of print conveniently so that they can keep up with their growth. The Kyocera ECOSYS M8130cidn not only offers a handsome standard paper capacity and the option to scale it up but also options in how you can scale it up. The device’s standard paper capacity is 600 sheets divided between a 500-sheet universal cassette and a 100-sheet multi-purpose tray. You get the option to add either another 500-sheet tray or a 1,000-sheet tray. 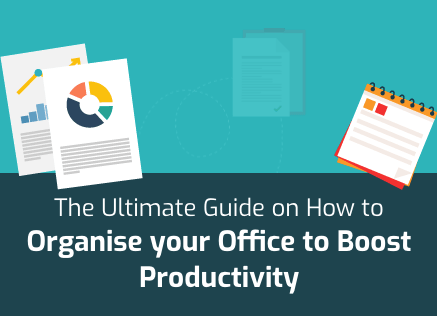 Therefore, you can settle for 600 sheets, push to 1,100 sheets or go all out for 1,600 sheets. 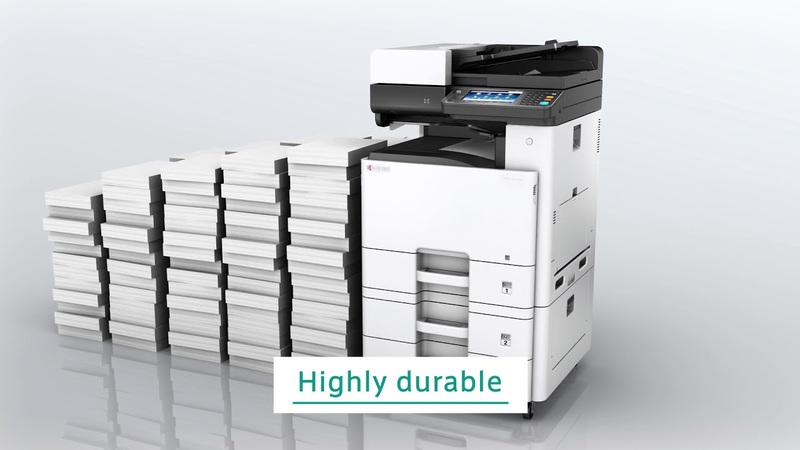 There is the option to boost the effective paper capacity of this device also by printing only in duplex. The Kyocera ECOSYS M8130cidn supports automatic duplexing. Printing in duplex is usually quite slow. That is not the case here because the M8130cidn can print duplex documents at a very fast speed of 26 pages per minute (ppm). Without duplexing mode on, you’ll get even better print speeds. Its normal print speed of 30 ppm is at the top end of the accepted spectrum for A3 colour laser multifunction printers. One of the hitches with printing a lot is cost, especially for SMEs. At high volumes, the costs can quickly add up to something unpalatable. This is why running costs matter with such devices. Rough estimates suggest that the Kyocera ECOSYS M8130cidn will cost you about 8.87 cents per page if you use cartridges manufactured by the Original Equipment Manufacturer (OEM). As it is, this isn’t high at all but you can lower it further by using generic or compatible cartridges manufactured by third parties. Use of such aftermarket consumables will see your per-page cost drop to an even more attractive 7.12 cents. The scanner on the Kyocera ECOSYS M8130cidn also needs to be taken as one of its strong points. It is fast, effective, and comes with all the bells and whistles. The scanning speed of this device is 50 images per minute at a maximum resolution of 600 x 600 dots per inch (dpi). Needless to say, fast scan speeds and good scan resolutions ensure fast and high-quality copies. You’ll also have the option of scanning a document and sending it directly to email, FTP, SMB, USB Host, Network TWAIN, WIA, and even WSD. Something that most potential buyers will see as a weakness of the Kyocera ECOSYS M8130cidn is its cost. 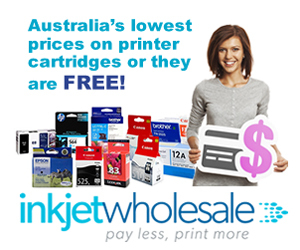 However, you should be aware that most A3 colour laser multifunction printers are priced similarly, give or take a few. The list price of the M8130cidn is above $4,100. Shopping around will get you this device at a lower price closer to $3,300. The reduced price puts this device firmly in the accepted range. It is also possible that some of you will see the absence of fax as something of a flaw but the question is if you use fax regularly. If you fax regularly, then its absence is a definite flaw. However, most businesses these days don’t fax. So, why should you pay for a function that you’re rarely ever going to use? For those who want to fax, the OEM has provided the module as an add-on. A more substantial flaw, and there’s no way to see it any other way, is the absence of wireless connectivity. The device only comes with two connectivity modes – USB 2.0 and Ethernet. People who use their smartphones a lot may find this is a limitation but then the OEM has offered wireless connectivity as an add-on. 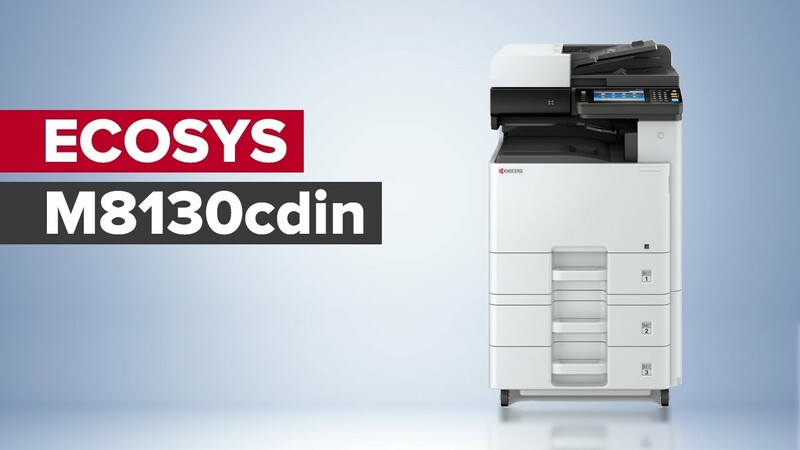 While the ECOSYS M8130cidn supports mobile platforms such as Google Cloud Print, Apple Air Print, and Kyocera’s own mobile print app, you’ll only get access to them through Ethernet or wireless connections. A3 printers, by the virtue of their expected use, have to provide good print output quality. While the output quality of a laser will never be the same as a dedicated inject photo printer, A3 printers aren’t all that bad. The Kyocera ECOSYS M8130cidn’s print output quality is at par with the segment standards, something that is evident in its maximum resolution of 1200 x 1200. Because they manage larger sized documents, A3 colour laser printers are bulky and heavy. Even going by the accepted standards, though, the M8130cidn is large and heavy. It measures 590mm in width and depth, while its height is 753mm. It weighs a massive 79 Kg, which means that once placed in its niche, you’ll probably never move it about. A good percentage of that weight is because of the sturdiness of this device’s housing. The material it is made of isn’t cheap plastic as you see in most printers these days. The housing is strong and dependable. Inside the housing, you’ll find an ARM Cortex-A9 Dual-core 1.2GHz processor supplemented by a 1.5GB RAM. The latter can be increased to 3GB if you plan on using a lot of apps on HyPAS. The combination of these components and the inherent Kyocera print technology makes this device very responsive. You’ll only have to wait for 6.5 seconds for a black and white and 8.3 seconds for a colour document after giving the print command. Near the top and to the right, you’ll find a full-colour touchscreen display measuring 177.8mm. The screen is part of a control panel comprising a job notification speaker and no less than 27 buttons including an alphanumeric keypad. The user interface of the control panel is intuitive and customisable. Apart from the aforementioned optional components such as the wireless module and paper tray, you’ll also have the option to include a hard disc drive. You’ll be able to choose from between 32GB and 128GB Solid State Drives. Similarly, an SD card slot has been provided for the optional SD card and a 500-sheet finisher with a multi-position stapler. You can also opt-in for a metal cabinet. The device comes with a three-year or 200,000-page warranty but this can be extended by contacting the OEM.